Achieving and maintaining a great credit score is quite possibly one of the best things that can happen to your finances. Unless you are thinking of buying a house or car, it may not seem like a priority, but as is the case with most things related to investing a good credit score requires time and persistence. Even if you’ve already purchased your first home, or recently financed a new car, a high credit score can still be beneficial to your finances and can be used to save you money in both the short and long term. Putting in the time and effort now can pay off tenfold in the long term both in terms of money and time. Earlier this week we talked about how your credit score could hurt your job opportunities. Also, we’ve recently seen a rise in student loan borrowers seeing errors on their credit reports. If you aren’t already making timely and full payments, paying down your debt, and obtaining your free yearly copy of your credit report, here are five reasons you should invest in your credit score. One of the best known ways your credit score can help you save money is by allowing you to get the lowest and most competitive interest rates when it comes time to purchase a home. Even though the percentage points may only be slightly lower, the savings in interest over the life of a fifteen to thirty year mortgage is substantial. Plus, refinance rates are the lowest they have ever been, so try to take advantage while you can! Let’s take a look at a few examples using this calculator, which is based on the rates FICO publishes. In two separate cases concerning Jim and Jan, Jim has an great credit score of 760 whereas Jan’s score is classified as fair at 620. In most cases, Jim will easily be approved for a fixed 30-year mortgage at an APR of 3.056%. This equates to a monthly payment of $1,274 or a total payment of $458,640 over 30 years. Jan however will not only have a much harder time finding someone to finance her mortgage, but when/if she finally gets one, her APR will be 4.645%. This equates to a monthly payment of $1,546. Over the life of the loan, that equates to $97,920 more than Jim will pay with his slightly lower interest rate. There are definitely more factors that go into a home mortgage, but generally speaking, the higher your credit score the better off you are when it comes to buy a home. If you’re shopping for a mortgage, look at these awesome online lenders that allow you to apply for your mortgage online. Another great benefit to having a good credit score is that not only will lenders want to work with you, but they will often fight to obtain your business. This is the case with multiple types of credit, from car loans to credit cards. A good credit score not only gives you negotiating power, but the power to shop around and give lenders the chance to compete for your business. Having a great credit score does not guarantee that you will have the ability to negotiate but it definitely gives you an edge especially when you are lacking in other areas such as income. Hopefully you are paying off your credit cards in full every month or maybe you operate on cash alone. Credit-savvy consumers know the benefits that come with rewards cards as long as they are responsible in paying off their monthly balance. Some of the best rewards cards offer these benefits to consumers with the best credit only. However, if the temptation to spend with a credit card is too high, it may not be worth it. More and more utility and telecom companies are waiving the initial deposit for its consumers with proven ability to pay bills and not carry debt. While a deposit is not necessarily money saved, it is money that could be used elsewhere or even invested to make you more money instead of sitting in your utility companies bank account accumulating interest. These deposits can be anywhere from $100 to $200 which is substantial. Even your cell phone provider may ask that you give a deposit for their service, even so-called “no contract” companies. The bottom line is that a low credit score makes these companies think you’re a risk to paying them back for what you spend. Leave it to auto insurers to find a way to penalize you for having a bad credit score. Insurance companies state that people with poor credit have a history of filing more auto claims. Whether or not there is actually a correlation, you will definitely pay a higher premium if your credit score is not in good condition. We have this handy car insurance comparison tool that you should really check once a year and see if you can save. If your credit score needs a boost, it is never too late to get started. Here are a couple quick fixes that can be implemented immediately. The lower the percentage of debt to the limit on your debt the better, but generally the rule of thumb is to keep it around 10%. If you use credit cards, try to pay the balance in full each moth before the statement closes. This will allow your credit card company to report your balance due as $0, greatly boosting your credit score. You may be tempted to sign up for cards at different stores in order to take advantage of the benefits, but this actually is hurting your credit score. While opening multiple cards might sound like a good idea, it is best to limit it to two cards. If you are over this limit it is best to pay off the balances on the other cards and stop using them. However, do not cancel these cards as that too is detrimental to your score. This should hopefully go without saying but a clear and long history of timely payments is the best way to maintain a high credit score. Lenders want to see that you can not only pay your debt, but you can pay it on time. Even one month’s worth of lapse can be damaging. If you are late on a payment and it is a rare occurrence it is worth a call to your lender to see if they can remove it from your file. One way that you can quickly use this part of your credit report to boost your credit score is by using a service like Self Lender. With Self Lender, you take a loan to yourself, and make payments to yourself. If you make your payments on time, it should boost your score. There are a lot of free tools that can help you improve your credit score, but I recommend Credit Karma because it’s free, quick, and easy. You only get one credit score, but you can see where you’re at, and they have a lot of free tools and resources to help you improve your credit score and meet your goals. I haven’t found another tool out there that gives you the same level of detail that Credit Karma does – at least not for free. Aside from the numerous benefits that can end up equating to huge savings over a lifetime, a good credit score gives you peace of mind, which is often times invaluable. 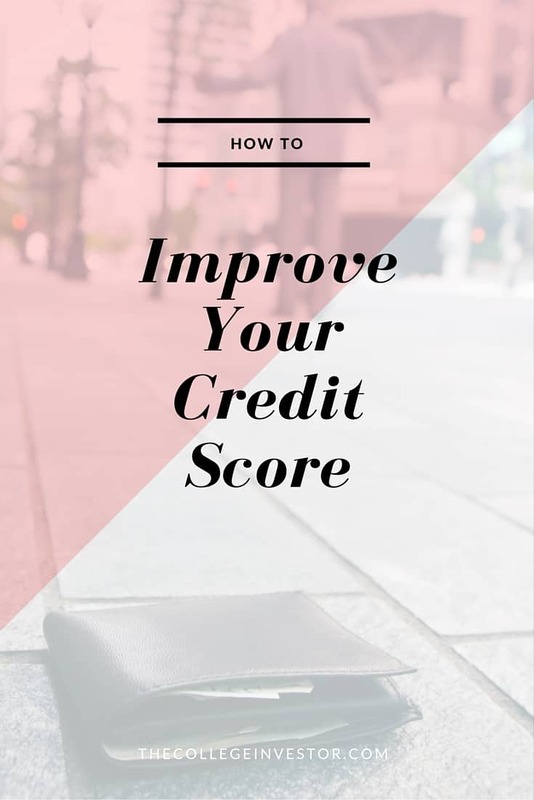 Having control over your finances, and the discipline to maintain a high credit score is not only something to be proud of, but it provides you with a level of security and opens many doors that someone with poor credit will never see. With a little work and patience, anyone can start to reap the rewards that comes with having a good credit score. What other tips do you have to fix your credit score and invest in your future? Valerie is a 25-year old living in Atlanta who is starting her journey towards financial freedom. You can learn more about her at Nine to Fi, or you can follow her on Twitter. Good tips! Like MFIJ said, employers is another potential biggie. I was nearly not offered a job several years ago because I had credit card debt at least seven years before that. I was able to convince them that it was no longer an issue, otherwise I would not have been offered the job. Thanks for the feedback. Being someone who has been employed by one of the “Big Three” credit bureaus, your points are extremely valid. There is a link to another article regarding credit scores and how they relate to employment in my first paragraph. I focused specifically on the monetary savings that a good credit score can provide. Great post! We are actually working on improving our credit score since we want to buy a house by the end of the year. My credit score is pretty bad because I just started it last summer. Yup, I just got issued my first credit card last year. I have no other debt or have ever had any debt to my name. My husband started a little early, and took out a car loan, which is paid off. It was paid off within two years. It helped build his credit score up. Good luck to you in your journey! It will definitely pay off for you. I didn’t touch on it in this article, but paying off big purchases like cars on-time or early is a great step towards improving your score. That is indeed a very good point to keep in mind. I experienced this first hand when I got my first job – coincidentally with one of the “Big Three” credit bureaus. 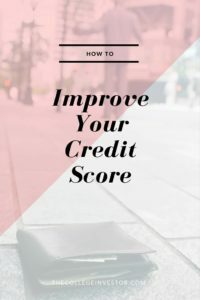 I tried to focus on the monetary advantages of improving your credit score in this article but have linked over in the first paragraph to another post regarding the relationship between credit and employment. I agree with you. When there are two applicants for the same position and both of them are qualified, employers turn to their credit score and credit history. It is believed that it would show who is more responsible.